Official website for Tom Turkey. Each year since 1947, the National Turkey Federation and the Poultry and Egg National Board have given a turkey to the President of the United States at a White House ceremony. Since then, presidents have been more likely to eat the turkey rather than give it a reprieve. A notable exception occurred in 1963, when President Kennedy, referring to the turkey given to him, said, "Let's just keep him." It wasn't until the first Thanksgiving of President George H.W. Bush, in 1989, that a turkey was officially pardoned for the first time. Where will the turkeys go after the pardon? After the ceremony at the White House, both of the turkeys will be taken to George Washington's Mount Vernon Estate, Museum and Gardens in nearby Virginia, where they will live out the remainder of their lives. The pardoned turkey will be part of the Christmas display, where it is a "popular draw," says Rebecca Aloisi, vice president of marketing at Mount Vernon. Late in 1863 a live turkey was sent to the White House for the Lincoln family to feast on during the holidays. 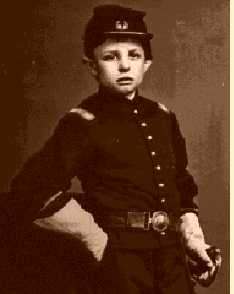 Tad Lincoln, age 10, quickly befriended the bird. Tad taught the turkey to follow him as he walked around the White House grounds. The turkey was named Jack, and Tad fed him as a pet. When the time neared to prepare the turkey for the Christmas meal, Tad burst into one of his father's Cabinet meetings. He was crying loudly. Tad told his dad that Jack was about to be killed, and that he had obtained a temporary delay from the "executioner" so he could put Jack's case before the president. Tad said, "Jack must not be killed; it is wicked." President Lincoln replied, "Jack was sent here to be killed and eaten...I can't help it." Tad, still sobbing, said, "He's a good turkey, and I don't want him killed." Abraham Lincoln, president of the United States of America, paused in the midst of the Cabinet meeting. He took out a card, and on it he wrote an order of reprieve. Jack's life was to be spared, and Tad raced out of the Cabinet meeting to show the presidential order to the "executioner."